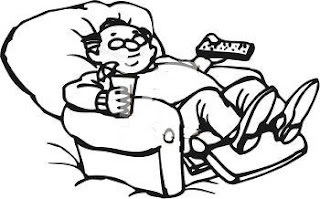 When Ivan’s wife divorced him, she left him with nothing but his recliner and a 19” TV. He was forced to move out of the big beautiful home the two of them had shared and move into a rented apartment in a nearby city. After working his real estate job all day, Ivan would go home, sit in his recliner and watch his 19” TV until he fell asleep. He had very little contact with his only son and felt like his life was over. I met Ivan when I went to work for the same real estate company. When the office manager introduced us, she said that we would be sharing the office that had formerly been his alone. Poor Ivan must have felt uprooted once again by a woman! But if he felt that way, he never let it show. We hit it off from day one. Sitting in the office – just the two of us, when business was slow – gave us a lot of time to get acquainted. We liked each other. We had a lot in common. We liked the same music, read the same books and saw the same movies. We talked about our children and their plans for the future as well as our hopes and plans for the rest of our lives. We became good friends, Ivan and I. He once surprised me when he said, “You know, Peggy, when a little boy is born, he is taught to love his mother, his grandmother, his sisters, his aunts, and any other woman in his life that he deems lovable, but when he grows up and chooses that one ‘special’ woman, he discovers abruptly, that she is the only woman he is allowed to love for the rest of his life. What a contradiction!" “I never thought about that,” I said. I never asked Ivan why his wife divorced him, but I suppose this remark provides a clue. Please understand that ours was only a friendship! Ivan knew that I’d been happily married for many years and, thankfully, my husband is not a jealous man. He has always been well aware that I form friendships with men much easier than I do with women. I never keep anything from him. He knew that Ivan and I were good friends and understood. He’s one in a million! However, as all things – good and bad – eventually come to a grinding halt, so did this enjoyable time of my life. Because it was a challenging time for my growing family, I was needed at home and, therefore, quit my job. Ivan and I stayed in touch. A year or so later, finding that he could no longer survive in the real estate business; Ivan took a job in another state and moved away. But our friendship continued by way of telephone and letters. It was before the days when everyone had a PC—before e-mail and Facebook and Twitter! The last phone call I got came in June. He said he’d been in the hospital; he’d had a stroke, but was much better. He told me to take good care of myself because what he’d been through wasn’t much fun. I sensed his deep sadness. “I will,” I promised. At Christmastime, I sent him a card. But I didn’t get one from him. How unusual! His was always the most beautiful card I received. Usually, the first. But not this year. Some instinct told me Ivan had passed away. How can you keep writing such heartbreaking stories. Your life seems to be full of them. I think only a person who has felt heartache can write so beautifully about it. thanks peg. I'm glad you share these feelings. On behalf of Ivan, Peggy, thank you for your beautiful friendship over those years, and thank you for sharing it with others and deepening their feelings toward those they know as a result. Some people don't believe it's possible for a man and a woman to be 'just' friends, but I know it is. One of my best friends is a woman. I love her like Ivan loved you--only as a friend. and she loves me the same way. My wife understands to.